(Reuters) - More than 124,000 homes and businesses in Florida and Georgia were still without power on Friday in the aftermath of Hurricane Michael, power companies said. 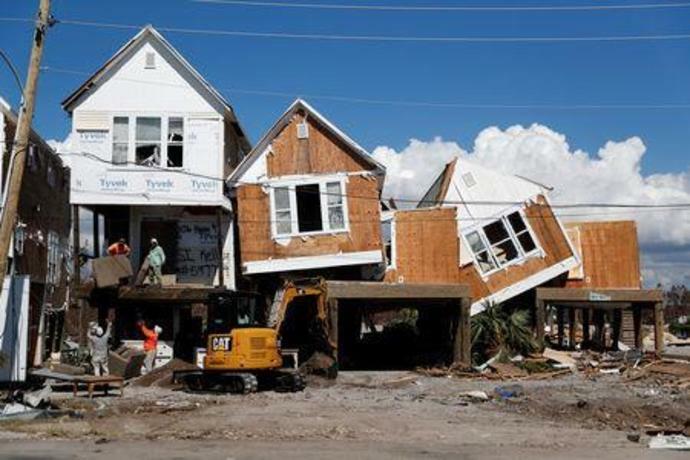 In total, more than 3.3 million customers lost power from Florida to New York after Michael struck the Florida Panhandle on Oct. 10 as a Category 4 storm with maximum sustained winds of 155 miles per hour (250 kph). Some customers in the hardest-hit parts of Florida may have to wait another week or two until service is restored, utilities said. The Florida Division of Emergency Management said on Twitter that about 106,340 homes and businesses in the state still had no power. Southern Co's Gulf Power unit estimated it would restore power in the hardest-hit areas, including Panama City, by next Wednesday.